"Madrid usually enjoy playing Athletic: they've won 13 of the last 17 league meetings in the league, losing only once and averaging 2.8 goals per game in that sequence"
There should be a celebratory feel to this game in San Sebastián, with Real Sociedad showing off the newly renovated Anoeta stadium for the first time. The crowd is now closer to the pitch, meaning Barcelona are likely to be stepping into a cauldron of noise on Saturday afternoon. For Barça, there is a certain degree of irony here. After all, it was only last season that they seemed to get to grips with the old Anoeta, registering their first league win there in a decade (4-2). Now, the challenge has been renewed, and with La Real likely to be high on homecoming energy after starting the season with three away games, this is going to be no walk in the park. The hosts started with a fine win over Villarreal but have been typically flaky since, surrendering leads against Leganés and Eibar. New boss Asier Garitano has plenty of attacking talent at his disposal - Willian José is a notable injury doubt here - but the defence is still prone to losing concentration. That tendency could be fatal against Barcelona, who racked up eight goals against Huesca last time out. Yet they also conceded twice in that one, and with La Real more than capable of troubling the Barça backline (the Basques have scored two goals in three of the last four meetings between the sides), the best angle here is to back over 3.5 goals at [2.22]. The new ground could be in for quite a baptism. You'd have got decent odds on Valencia hovering just above the relegation zone after three games of the season, but that's where Los Che find themselves after a winless start to the campaign. That will no doubt be frustrating, but there's reason to believe 17th is a false position and that they'll soon be shooting up the table. For a start, two of the results so far have been acceptable: a draw with Atlético Madrid is never to be sniffed at, and Valencia showed heart to come from behind away from home against Levante a fortnight ago. They actually had the greater xG in both of those games, too (by some way in the derby), indicating that their performances have been better than their points tally would suggest. Betis beat city rivals Sevilla before the international break, but Joaquín's goal in that one was their first of the season, and it is clearly taking time for new signings to bed in. The Andalusians might be without William Carvalho on Saturday (he picked up a knock playing for Portugal) and have a shoddy record against Valencia: they've managed just one win in the last 23 league meetings, losing 18. With all that in mind, we're happy to plump for the home win at odds of [1.78]. Two of the four unbeaten sides meet at San Mamés, although that description says less about the hosts than it does about their visitors. Athletic have only played two matches, after all, the postponement of their game against Rayo Vallecano in Jornada 3 having given them an extended three-week break coming into this game. Eduardo Berizzo can have no excuses if his side isn't well drilled and well rested, then, especially given what happened in their last game. Athletic should have been home and hosed at 2-0 against Huesca, but sloppily allowed the minnows to get back into the game and claim a point. There has been a focus on defensive shape in training since, which is no great surprise. Real Madrid have made a commanding start to life without You Know Who, racking up 10 goals in their three games so far. 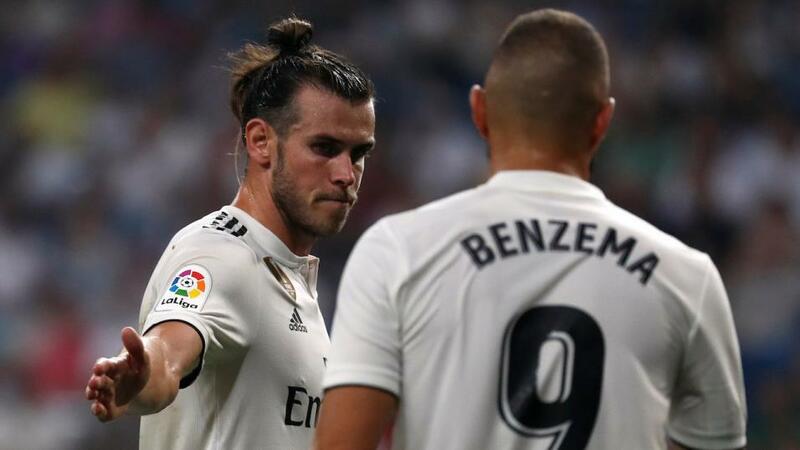 Gareth Bale looks entirely comfortable as the main protagonist in attack, but it's the spread of responsibility that is the real step forward, with Karim Benzema and Marco Asensio also stepping up and playing with smiles on their faces. Madrid usually enjoy playing Athletic: they've won 13 of the last 17 league meetings in the league, losing only once and averaging 2.8 goals per game in that sequence. There is no real Basque Country swing, either, with Los Merengues having won on nine of their last 13 visits to San Mamés in the league. We'll be expecting another Madrid win on Saturday, although Athletic are unlikely to roll over without a fight. Both teams have scored in five of the last six meetings between these sides, as well as in four of five Liga games in which the teams have been involved this season.